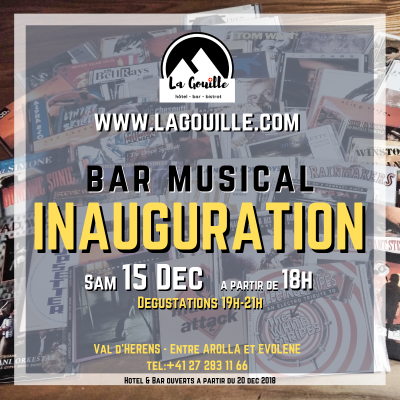 Opening evening of the musical bar at La Gouille on December 15th. Friends, the Gouille re-opens its doors for this season 2018-2019 … Let’s celebrate !!! For this moment, we invite you to spend a beautiful evening together ! Various tasting, music and good mood, discover our universe from 19:00.